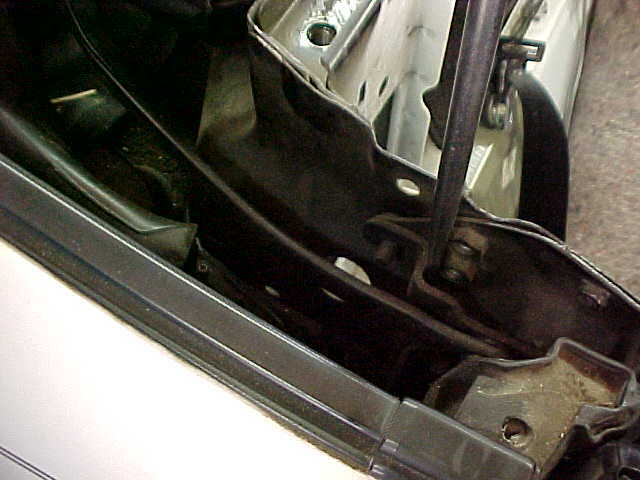 The clearance between the roll bar the convertible top frame is very close as the top is raised or lowered. This part is easier with some help. Carefully raise the top until the frame hinge point (the one over the side window) is close to the bar. 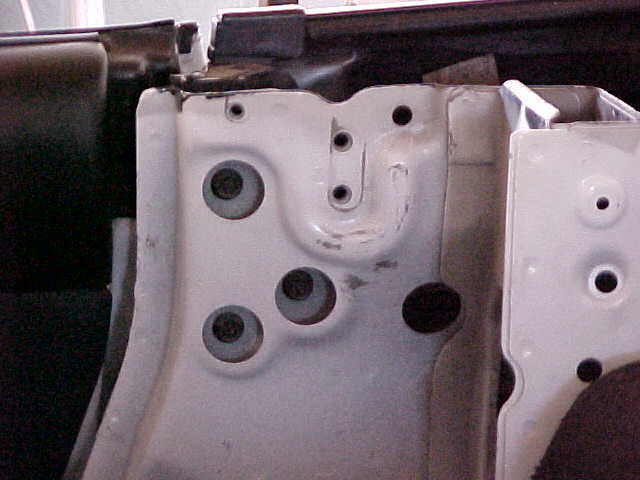 If it won't clear without rubbing adjust the top frame by loosening the three mounting bolts with 12mm hex heads (see photo 1). 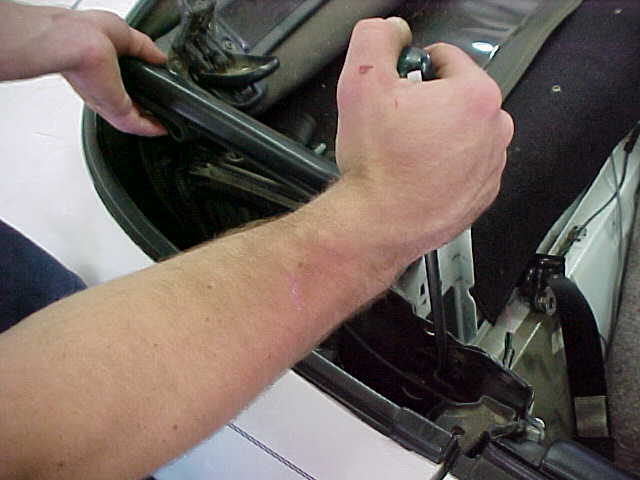 Insert a pry bar or large screwdriver as shown in photo 2. Slightly raise the top while pushing back on the pry bar to get the frame as far to the rear as possible (photo 3). Retighten the mounting bolts while holding pressure on the frame. Recheck clearance and readjust if needed. In a very few cases the edge of the frame may have to be filed slightly to obtain clearance.